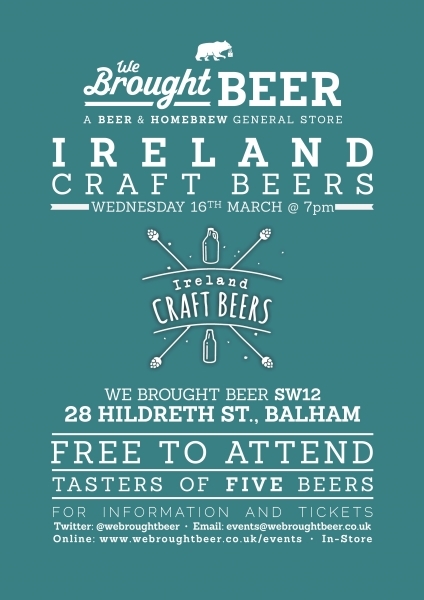 If you're looking for something to wet your whistle before St. Patrick's Day, then get yourself over to We Brought Beer, 28 Hildreth Street, Balham, London. Ireland Craft Beers will be there, but not empty handed, as we'll bring along some of the finest Irish Craft Beers we have to offer! For more info, go over to their Facebook Events page here, for more details! If you've any questions, please get in touch!